For a wide range of industries. SysCAD is a powerful and versatile plant simulation software, and can be used to simulate the simplest processing circuit through to a complex full plant operation. When used to its full potential, it can serve in every aspect of the plant life cycle from feasibility studies, to design, commission, operations and maintenance to expansion and more. More efficient and knowledgeable operators. The SysCAD simulation can be operated as a Steady State solver or in Dynamic mode. 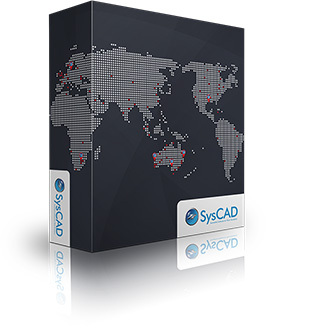 SysCAD is the process simulation software that makes a difference. It can be applied in every plant planning stage; from Feasibility Studies, Design and Commission, to Operations and Maintenance and Expansion. 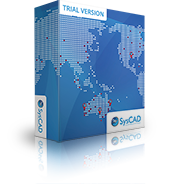 SysCAD software is a powerful tool used by consultants and engineering companies to provide solutions for their clients. Gain a comprehensive understanding and insights of your processing plant through the use of SysCAD’s innovative plant modelling software. With detailed evaluation of plant behaviour; your plant model in SysCAD is a significant business asset as a repository of process knowledge. Use the model on an ongoing basis for to answer “What if?” and for a wide variety of operational and planning applications. SysCAD modelling software can be used in learning environments to help students understand process design and how plant equipment works. Use SysCAD software in Industry and Universities for research purposes to evaluate new technologies and process circuits. Australia, North America, South Africa and Europe.